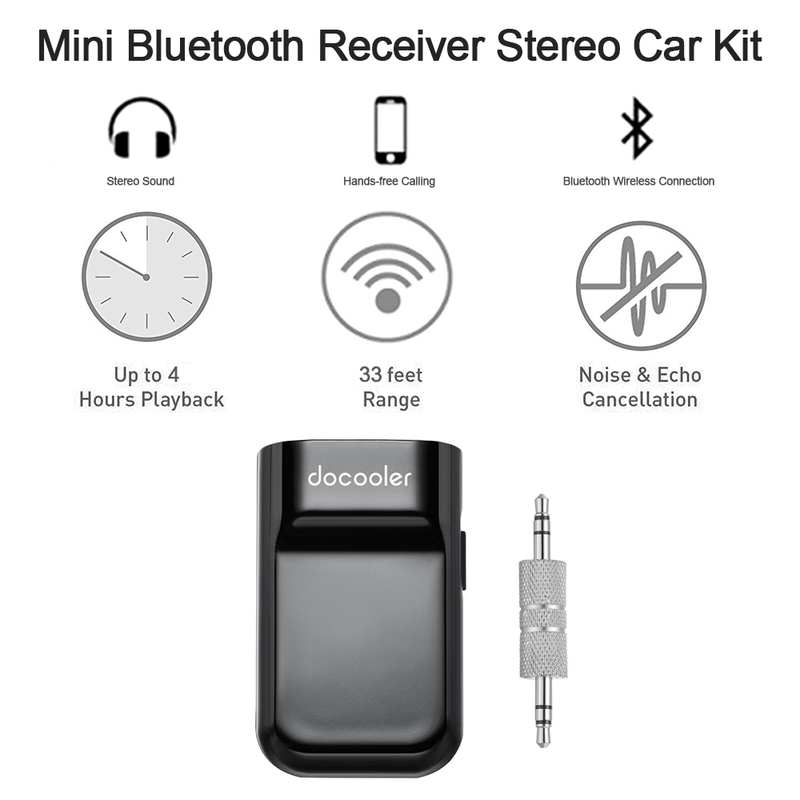 The Docooler Bluetooth Receiver is specially designed for Car Stereo systems and Home Audio System. 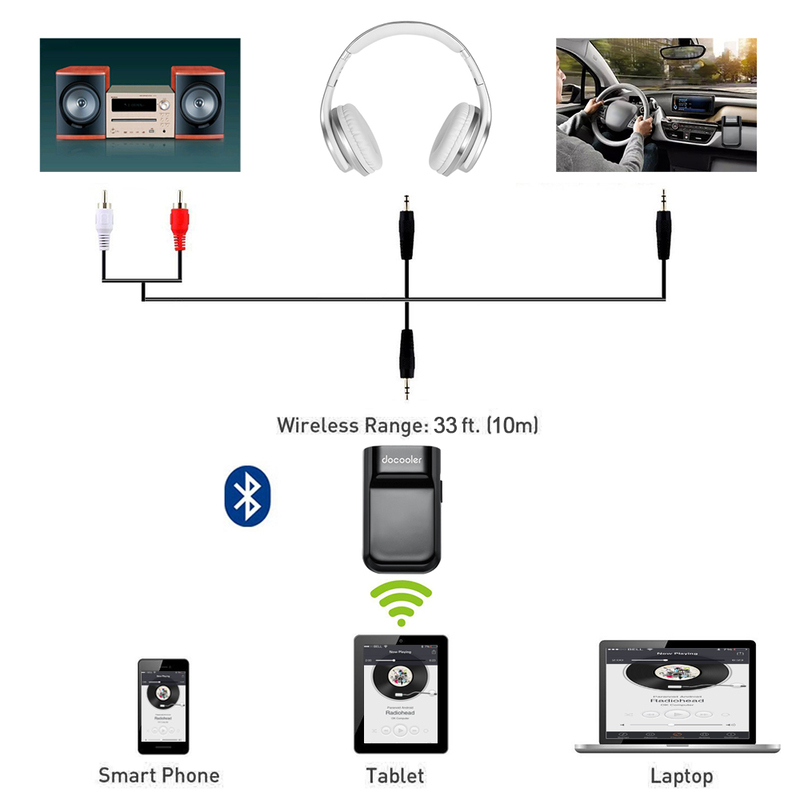 And, it can change the traditional Car Stereo systems and Home Audio System into Bluetooth-enabled ones, and easy to pair with Bluetooth-enabled Smart Phones, Laptop, Tablet PC, etc. 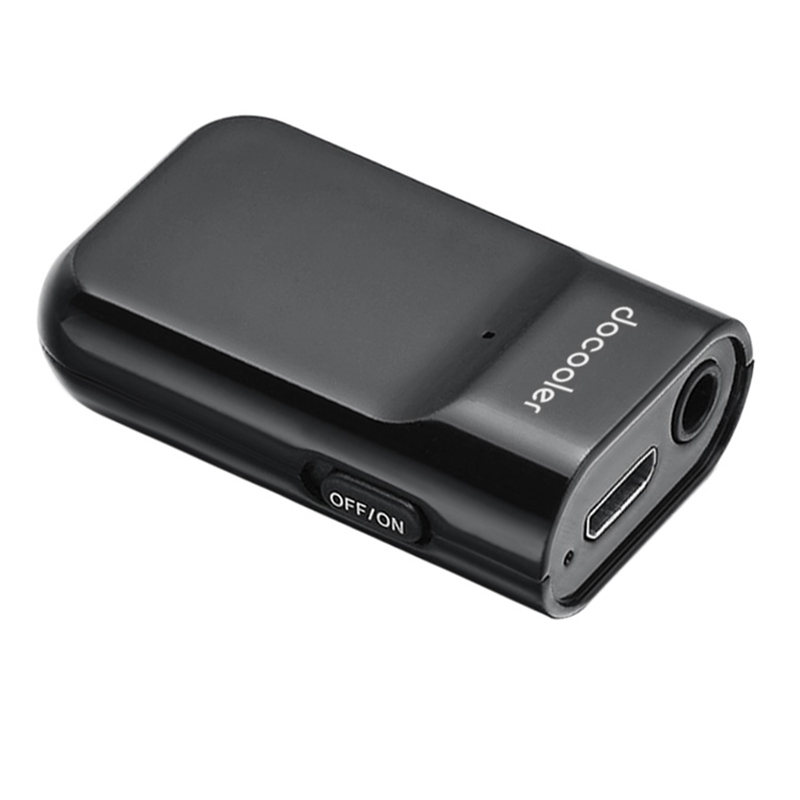 With this product, you can greatly enjoy music from your phone, laptop & MP3 without the hassle of cables. It is perfectly suitable for the car owners. 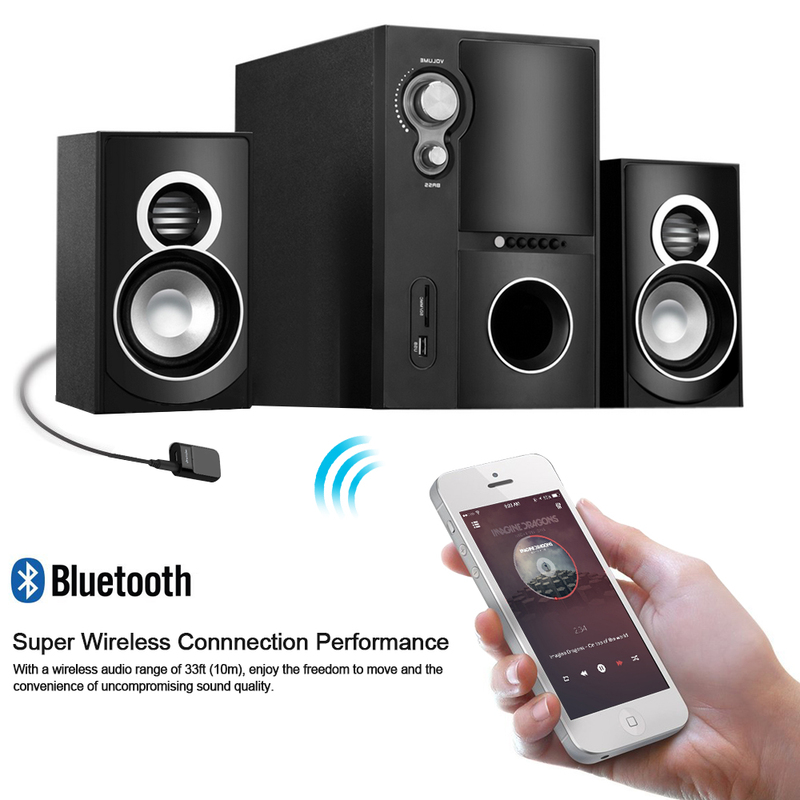 Turn the Traditional Speakers into Bluetooth-enabled ones. 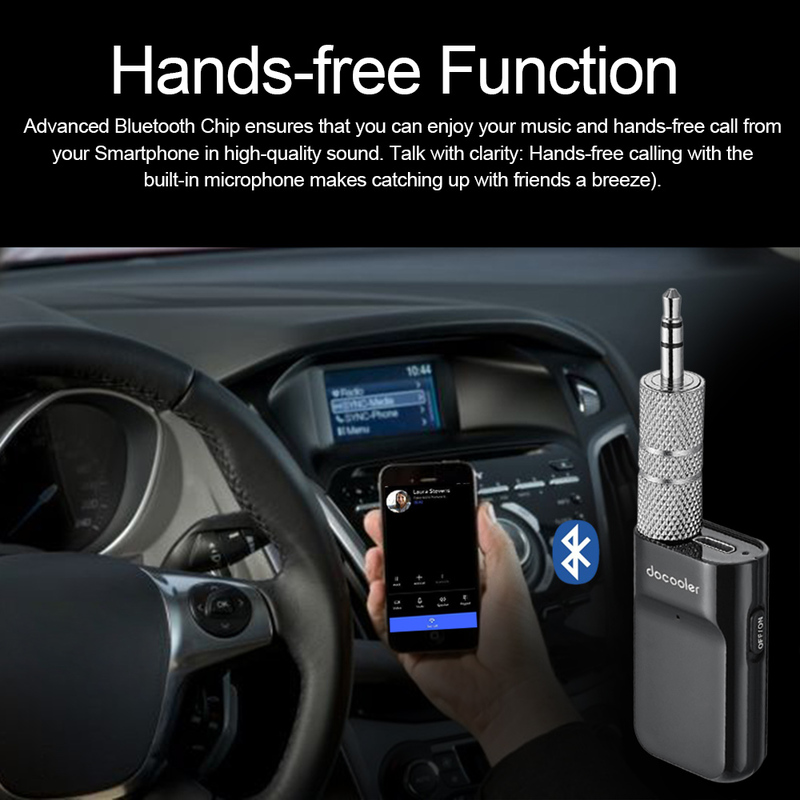 Advanced Bluetooth Chip ensures that you can enjoy your music and hands-free call from your Smartphone in high-quality sound. Talk with clarity: Hands-free calling with the built-in microphone makes catching up with friends a breeze). 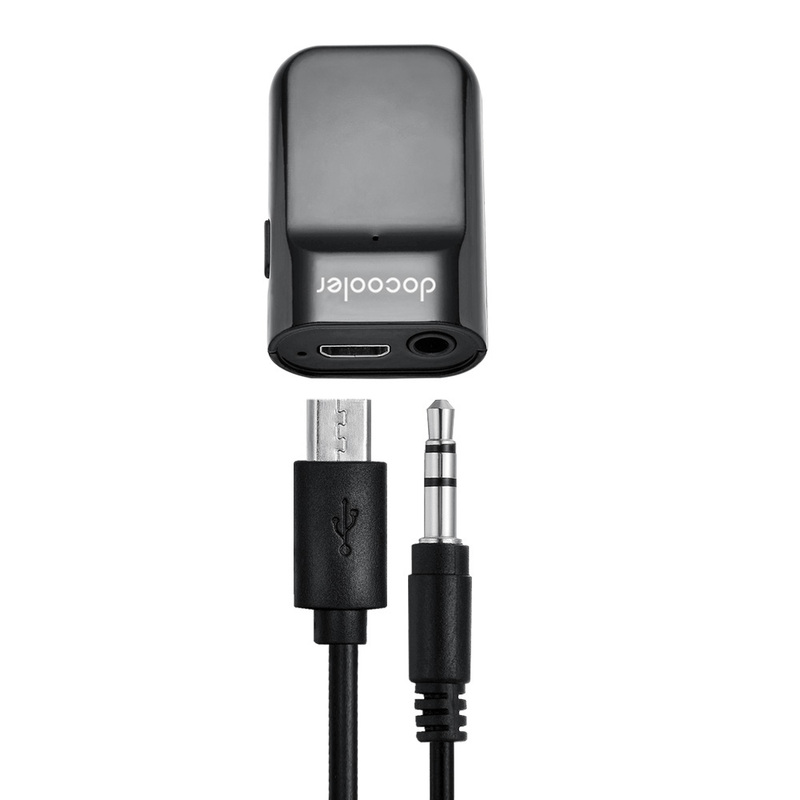 Compatible with most Bluetooth-enabled electronics such as, Smart Phones, Laptop, Tablet PC, MP3 Player, etc. 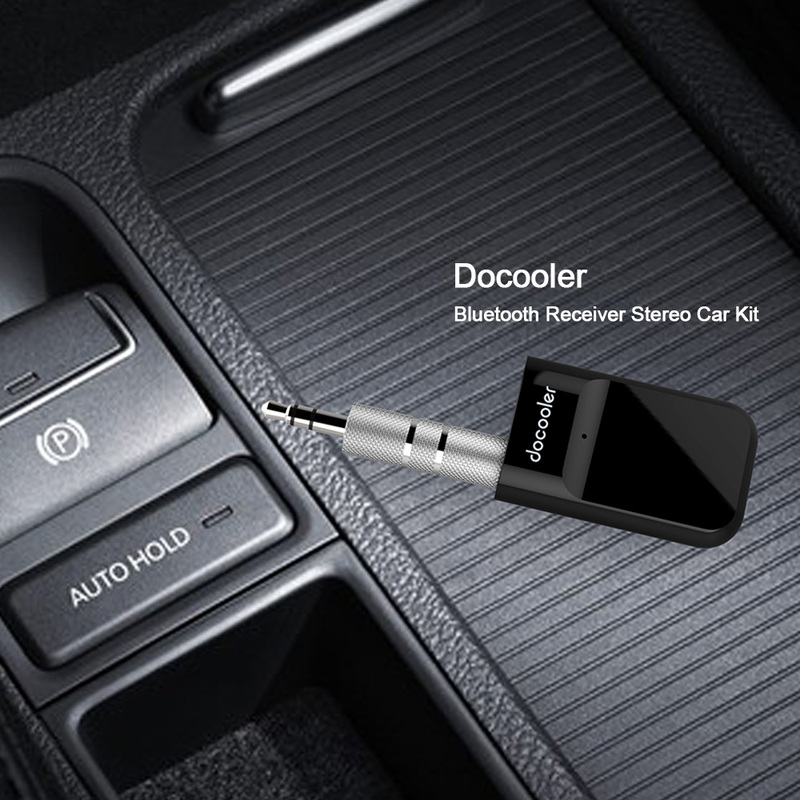 supporting Automatic Re-connection, ideal for home or vehicle audio systems. 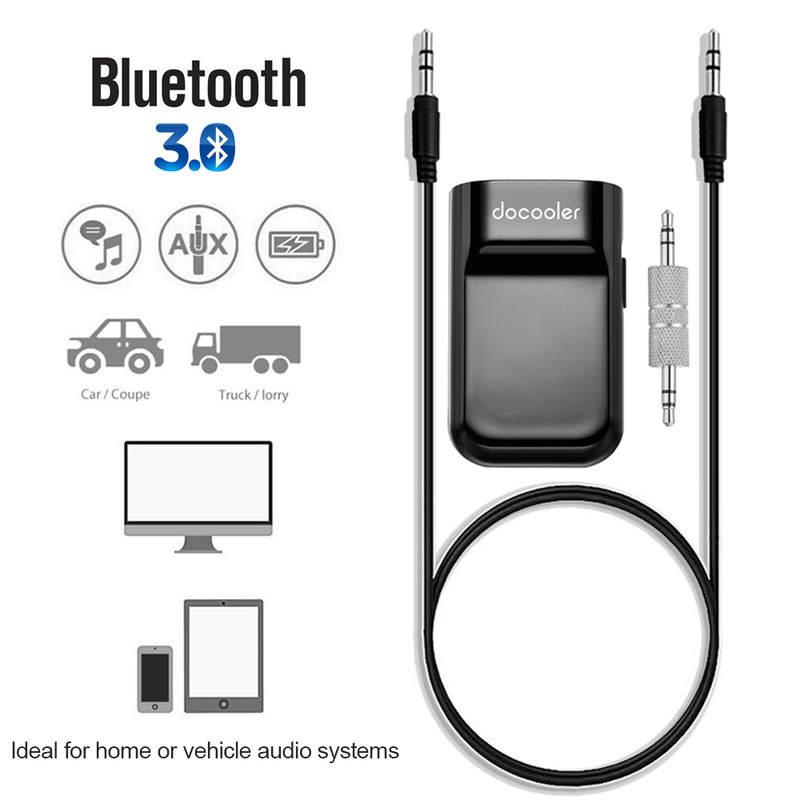 Plug the Bluetooth Receiver into your stereo speaker or car audio system via the 3.5mm audio connector, and then pair it with any Bluetooth-enabled electronics. After that, just enjoy music. 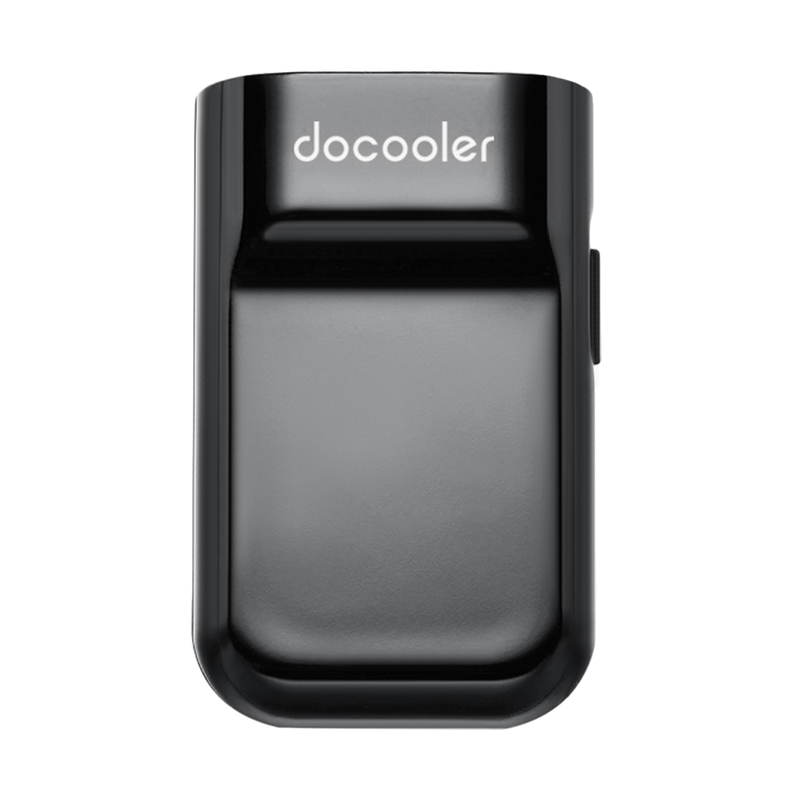 Built-in 100mAh battery provides up to 4 hours of music playing time and only takes 1.5 hours to fully charge it. 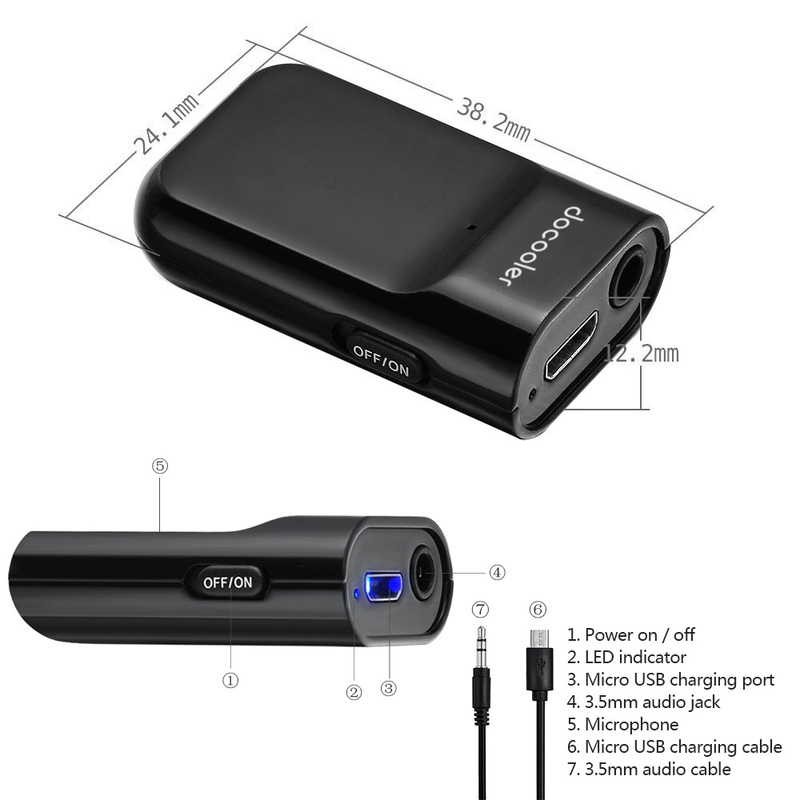 Comes with 1pcs USB Charge Cable, 1pcs 3.5mm Audio Connector, 1pcs 3.5mm Audio Cable and 1pcs English User Manual. 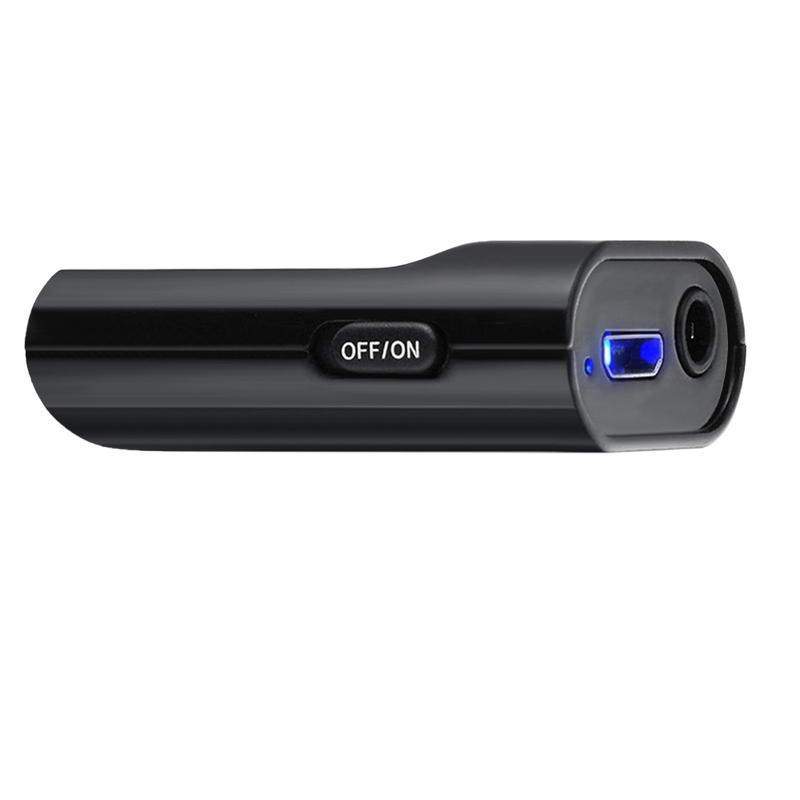 Battery: Built-in 100mAh / 3.7V Li-battery.